Digital editions include all extra content, now available via FileSilo - see page 5 in the mag. Never miss an issue with a print or digital CM subscription! 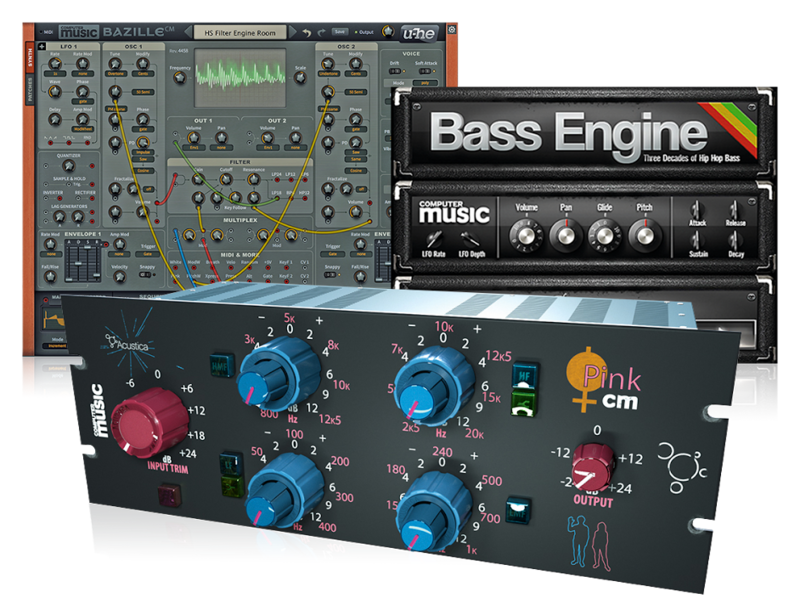 Decades ago, professional music was create in high-end studios crammed full of expensive music-making gear, but these restrictions are now but a distant memory – all those classic electronic instruments and processors can be had in software form for a fraction of the original cost. And what’s even more exciting is that we can go beyond nostalgia and marry those retro sonics with the sounds of the future! But to keep music moving forward, you need a solid understanding of what came before, which is why Computer Music issue 262’s cover feature is half history lesson, half technique. 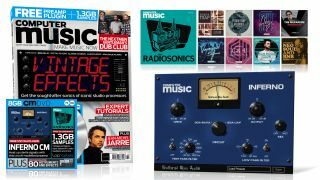 From tape echo and digital reverb to classic pitchshifting and far beyond, we’ll take you through the iconic sonics of old-school gear, and show you how to achieve those sounds in your DAW using commonly available virtual emulations. Watch one of the videos from the feature, and get the rest with CM262. This month’s exclusive CM Plugin, created by Shattered Glass Audio, is a an analogue distortion effect offering two circuit-modelled preamps, complete with high- and low-pass filters and a Mix control for parallel processing. Whether you want to add presence to a vocal, imbue a drum loop with grit and power, or even work analogue vibe into a full mix, Inferno CM is easy to use – and sounds fantastic! Find out how to use Inferno CM in the video below, and buy CM issue 262 to download the plugin in VST and AU formats for PC and Mac. It's the ultimate genre soundclash, as reggae and hip-hop come together in this exclusive collaborative session. Fusing the hip-hop production sensibilities of veteran DJ/producer duo The Nextmen with the reggae stylings of two-piece band Gentleman’s Dub Club, the infectious, horn-drenched rap-infused Rudeboy was one of this summer’s standout tracks, and the perfect taster for the impromptu collective’s equally brilliant collaboration album, Pound For Pound. This month’s Producer Masterclass sees GDC’s Toby Stevens join Dom Search and Brad Baloo from The Nextmen, as they break down the creation of Rudeboy. Watch the first half of the video below, and access the full video with Computer Music issue 262.